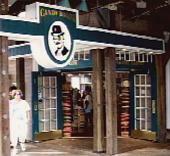 The largest - Candy Baron store, located in San Francisco on ever-popular Pier 39, opened it's doors in October 2003 & became an immediate sweet success. 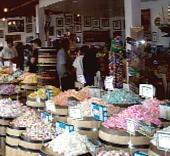 Facing Pier 39's famous Carousel, & with unsurpassed views of the Golden Gate Bridge, Alcatraz, & the sea lions, visitors' eyes stay focused on Pier 39's mouthwatering attraction - our superb array of world class candies & salt water taffy...! 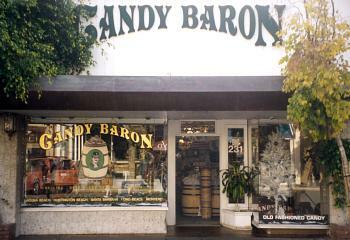 Opened in 1992 and is our second largest store. Laguna Beach is famous around the world for it's art festivals and renowned "Pageant of The Masters" and is close in proximity to Newport Beach, with it's fabulous harbors and multi-million dollar homes and boats.